SALT LAKE CITY, Utah —The national nonprofit Tread Lightly! and its partners Bass Pro Shops and Arctic Cat announced a new program designed to advance stewardship of the outdoors by growing Tread Lightly!’s member base. Individuals who join or renew their Tread Lightly! membership between now and Sept. 30, 2015, will be automatically entered into a drawing for a chance to win an Arctic Cat 2015 Wildcat Trail XT side by side and high-value Bass Pro Shops gift cards. Those who join or renew their Tread Lightly! membership at higher levels can increase their chances of winning an Arctic Cat 2015 Wildcat Trail XT side by side valued at $13,549 or a $1,000, a $500 or a $250 Bass Pro Shops gift card by receiving more entries in the drawing. Additionally, participants who visit a Bass Pro Shops store can join using a specially-marked form to earn double the automatic entries in the drawing. Winners will be announced on October 15, 2015. Ninety percent of funds Tread Lightly! raises go directly to supporting its on-the-ground initiatives, including an expansive library of educational materials, comprehensive public awareness campaigns, educational volunteer training, and Restoration for Recreation projects. Its work encompasses nearly every form of outdoor recreation. To join now, visit http://treadlightly.org/join/individual/. 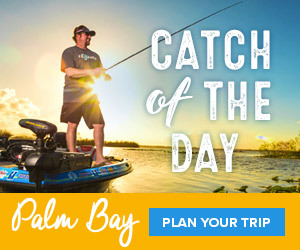 To find a Bass Pro Shop store visit http://www.basspro.com/stores. Grand prize winner is responsible for pickup from his/her nearest Bass Pro Shop. Although a membership donation is strongly encouraged, there is no purchase necessary to enter the drawing. Go to http://treadlightly.org/basspro-drawing-rules/ for official rules. Bass Pro Shops®, which specializes in outdoor fun, operates 91 retail stores and Tracker Marine Centers across America and Canada that are visited by more than 120 million people every year. Bass Pro Shops stores, many of which feature restaurants, offer hunting, fishing, camping and other outdoor gear while their catalogs and website serve shoppers throughout the world. The company’s Tracker Marine Group® (http://www.trackermarine.com), a leading brand of fishing boats for more than 36 years, manufactures and sells a variety of boats for fishing and cruising. Family fun is on tap at Bass Pro Shops resort Big Cedar Lodge® (http://www.bigcedar.com), voted number six by Travel + Leisure Magazine as World's Best Hotels for Families. For more information, visit www.basspro.com. To request a free catalog, call 1-800-BASS PRO. Follow us on Facebook at http://www.facebook.com/bassproshops.